The ballroom at the Trump International Hotel in Washington, D.C. was abuzz for the Kuwaiti Embassy's National Day celebration Monday evening — the second year in a row the embassy has opted to host its annual fete at the luxury hotel bearing the president's name. The exclusive, invite-only celebration, was shielded by security. The amount the Kuwaiti government spent at the hotel was similarly kept private, part of an undisclosed flow of money from foreign governments to Trump properties that has drawn sharp criticism from congressional critics and ethics groups in Washington. In January 2017, then-President-elect Donald Trump answered demands that he divest from his family businesses by pledging to donate foreign earnings to the Treasury. And this week, the Trump Organization announced it had made its first such donation. George Sorial, the Trump Organization’s chief compliance officer, said in a statement the company had passed along the income its hotels, golf course, and other businesses have received from foreign sources in 2017. “Although not a legal requirement, this voluntary donation fulfills our pledge to donate profits from foreign government patronage at our hotels and similar business during President Trump’s term in office,” Soriel said. Neither the company, nor the Treasury Department, would provide details about how much money was turned over. And the list of the Trump Organization’s foreign clients also remains secret. 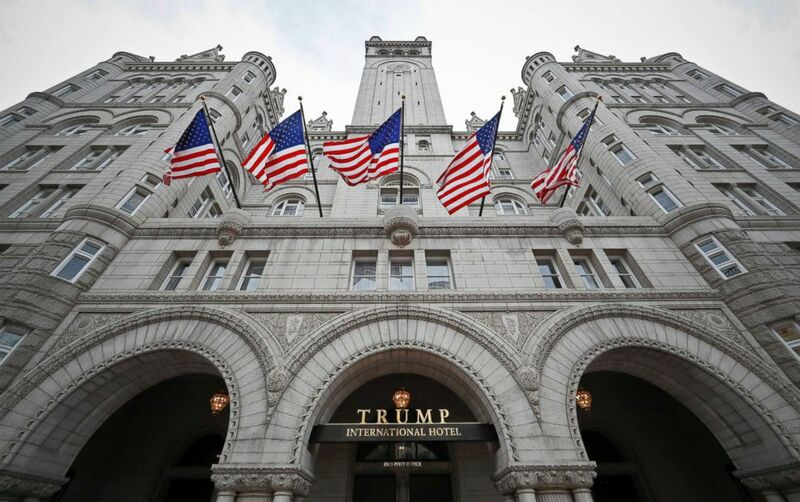 General view of the Trump International Hotel Washington, D.C. at the Old Post Office, Oct. 31, 2016, in Washington. In early January, Cummings led all the committee Democrats in sending a letter to Oversight committee chairman Trey Gowdy, R-S.C., imploring him to request an assortment of documents from The Trump Organization pertaining to foreign profits – however, the letter went unanswered. Shortly thereafter, Cummings requested Gowdy place a motion for a subpoena on the committee’s business meeting agenda for early February to allow for the committee to obtain the desired information. But at the Feb. 6 meeting, Republicans blocked the vote on the subpoena. There are also a number of lawsuits pending against the president and the Trump Organization in multiple states. Attorneys general of Maryland and the District of Columbia on Friday expanded a lawsuit accusing President Donald Trump of accepting gifts from foreign and state governments – moving to sue Trump not only as president but also personally as a businessman. A staff member stands in front of the Trump International Hotel in Washington, D.C.,on Oct. 26, 2016. According to Weissman, the "horribly flawed" implementation proposal "would enable foreign governments to pay far above market rates for services from the Trump organization with no offsetting payment to the Treasury...But the actual implementation, if we can call it that, is worse still. There is no way to know if anything was paid at all." Diplomats with the Kuwaiti embassy had little to say about their latest event and have not responded to ABC News’ requests for comment. Kuwait was just one of several countries that selected Trump's D.C. hotel as the venue to host parties in 2017 -- although they appear to be the first to return for a second year. A review of the filings foreign groups and their lobbyist make with the U.S. Justice Department indicate there have been several high-spending foreign clients at Trump properties. For instance, the international public relations firm MSL Group Americas, whose D.C. office has represented the Kingdom of Saudi Arabia, the Bahrain Embassy and others, spent more than $270,000 at the Trump Hotel in D.C. Much of that was for work on behalf of their Saudi Arabia employers during the period between Oct. 1, 2016 and March 31, 2017. Bahrain had its 2017 National Day party at the hotel as well, but public filings disclose how much the embassy spent on the event. 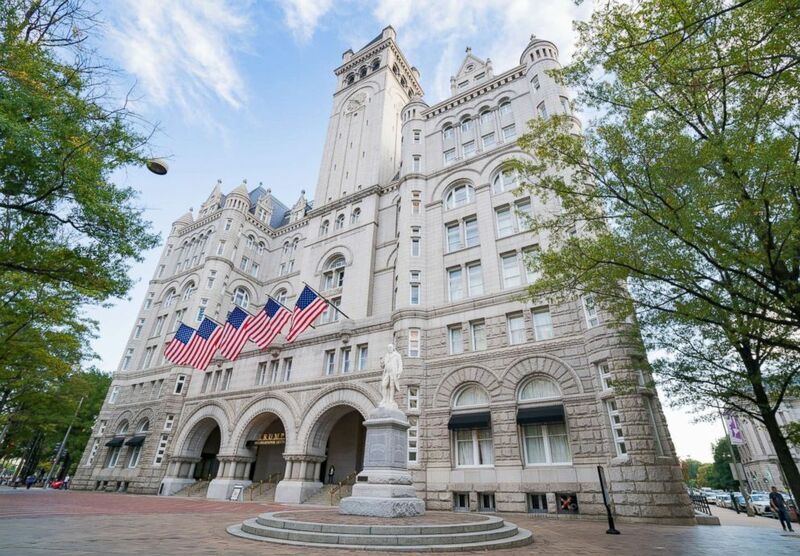 Last year the American-Turkish Council held its annual Conference on U.S.-Turkey Relations at the Trump International Hotel, too – but no public filing indicates how much was spent. 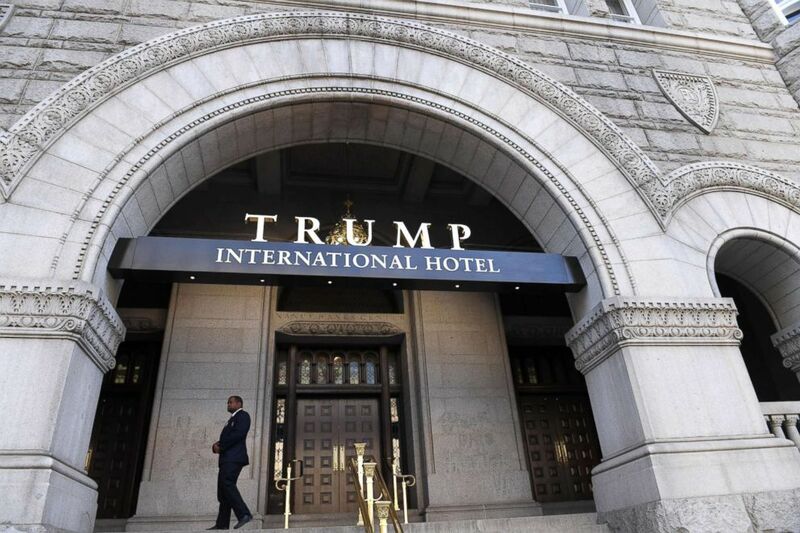 Howard G. Beasey, president of the American-Turkish Council, told ABC News last year that the decision to host its event at the Trump Hotel was made before Trump became president, and had nothing to do with trying to curry favor with the administration.